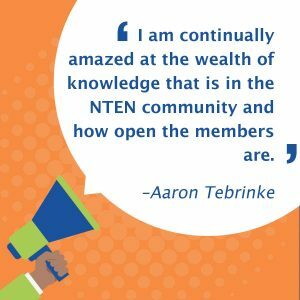 Aaron Tebrinke has been an NTEN member since 2012. I’m the Multimedia Specialist for Dominican Sisters of Springfield, Illinois and live in the Illinois capitol city. In July, I will have been working with the sisters for six years in the Communications Department. It’s a perfect environment for a person like me that values learning and my passion to continuously improve my skills. I’ve been able to use my education and expertise nearly every day—a rare thing for many people these days. Prior to my nonprofit technology role with the sisters, I spent 10 years in various technology-centered roles in journalism, GIS, graphic/web design, economic development, technical assistance for music gear, and print publishing. When I am committed to something it comes from a deeper desire than just a steady paycheck. I am motivated by unwavering values: integrity, truthfulness, and loyalty. I get great satisfaction from being busy and productive as long as the work allows me time for introspection and involves intellectual discussions about the big picture. 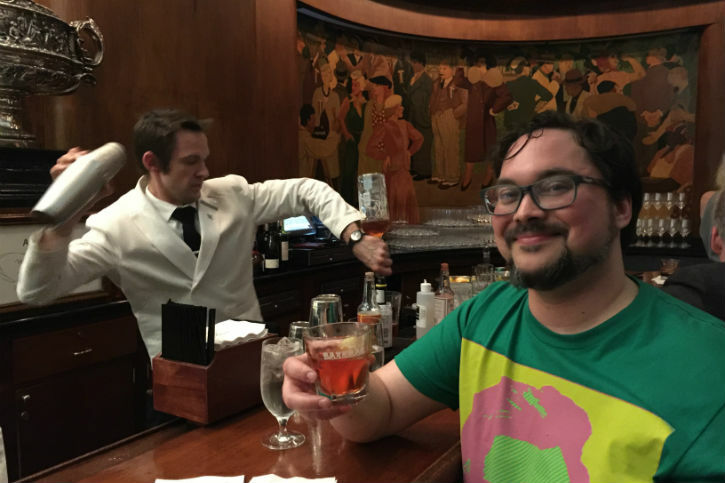 I attended my fifth Nonprofit Technology Conference this year in New Orleans and loved the WordPress day just as much as the overall conference. It always feels like a homecoming celebration and series of indispensable rolling master classes. 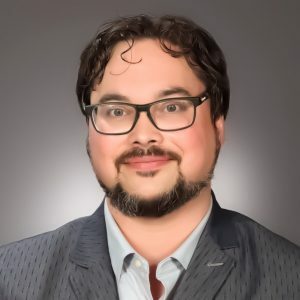 It’s been truly a community to me and I always look forward to connecting with other like-minded individuals who understand the specialized difficulties and remarkable benefits of the nonprofit world. In a digital or actual meet-up I am continually amazed at the wealth of knowledge that is in the NTEN community and how open the members are to help solve problems, share insights, or give supportive feedback. There are so many experts that are sharing best practices and it is humbling how accessible they are. It’s empowering to feel like I don’t need to reinvent the wheel for elaborate campaigns or projects because of the community. Over the past few years we have made a lot of advances with our digital strategy and overall technology goals. As we have grown and expanded I have found it very satisfying to advance the sister’s mission with technology in various ways. Specifically, I was able pull off a redesign of the main website after a lengthy web discovery process. The biggest win for me is the chapel audio tour landing page that was a labor of love involving video, audio production, featured interviews, photography, and print media. The chapel audio tour was completed just before National Catholic Sisters Week and I was able to secure a mini-grant to pay for all of the equipment expenses. 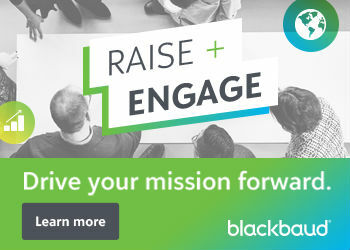 The next step is to focus on the donor’s online journey with the hope that we can get donors and supporters to move from being occasional collaborators to becoming partners in the mission. Very shortly after I finished my Nonprofit Technology Professional Certificate I was offered a job because I added the certification on my LinkedIn page. A friend noticed it and alerted the person hiring for the job. They reached out to me and out of curiosity I went to a couple of interviews before I felt like it wasn’t the right fit. Regardless of the outcome, the certification was the center of topic to get the initial interview and certainly peaked the recruiter’s interest. Since then the certification courses have been helpful for me in myriad ways.